While we don't have a whole lot of love here for Intel's Atom processor—it's dog slow and has seen virtually no evolution since its introduction—we do find there's a lot to like about its inclusion in the ASUS 1015PN. 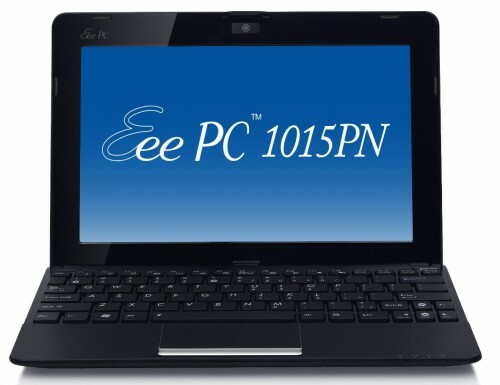 The Eee PC 1015PN-PU17 is one of ASUS' myriad Atom-based offerings and part of their ever-growing Eee PC line, but it leverages every strength it conceivably can to produce what amounts to a sort of king of the netbooks: a dual-core Atom N550 processor coupled with NVIDIA's NG-ION graphics hardware. Naturally the netbook is Optimus-enabled, able to switch between the NG-ION and Atom's dire integrated graphics to improve battery life. The 1015PN also includes an increasingly rarefied matte screen, making it far more capable for the kind of outdoor use that netbooks should be ideal for. If the Eee PC 1015PN has one Achilles' heel, it's battery life that comes up fairly short compared to the competition. The problem is that while it supports Optimus, you need to run the full Windows 7 Home Premium to get it... and ASUS ships the thing with Windows 7 Starter by default. Oops! So you lose dynamic GPU-switching (you can switch manually) but gain a much better netbook experience, at the cost of battery life. This is to be expected: there's a lot of extra power flowing through this system, but the payoff is in a machine that's more responsive and less aggravating to use than a basic single-core Atom netbook. The rest of the 1015PN is bog standard for netbooks, with the usual 1GB of RAM and slow 5400-RPM hard drive. Bumping up to 2GB and Windows Home Premium will add another $100 or so to the total cost, and unfortunately ASUS continues to make it nigh impossible to actually upgrade the hard drive without tearing the system apart. If the idea of suffering through Atom in all of its glorious weaknesses doesn't sit right with you, Toshiba offers you another alternative: the AMD Nile-based T215D. While Congo proved to be an exercise in "almost there," with Nile AMD finally proved they could bring the mayhem. The processors in this line are all derived from modern Athlon/Phenom II architecture, and they're consistently paired with the extremely capable Mobility Radeon HD 4225 integrated graphics. What we're left with is a system that may not have the best battery life in the world (pushing just shy of five hours for typical use), but it's portable enough and gets along well enough in any other discipline. Even an NG-ION powered dual-core Atom is going to have trouble keeping up with a snappier Nile-based system, so if your usage pattern can't be squeezed into those narrow performance confines, the T215D is worth a look. Technically some will complain that the T215D isn't a "netbook" since it uses an 11.6" chassis, but we're willing to stretch the definition. 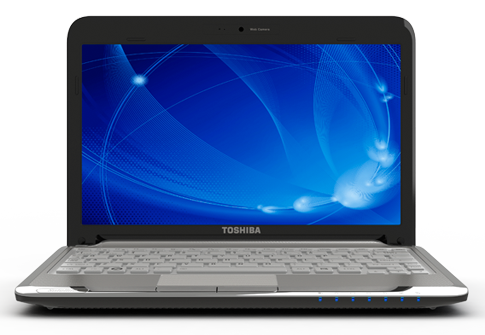 (Note that the higher spec Toshiba T235D we reviewed is larger still and sports a K325 dual-core processor in comparison to the K125 CPU in the T215D.) We wouldn't recommend any netbook as a powerful computing solution but rather as a "fast enough" alternative to Atom, and AMD's Nile offerings certainly fit that classification. The real question is whether you can live with the chromed-out silver aesthetics on the T215D. We've bashed on Atom performance plenty, but let's be clear: there's a niche that Atom fills perfectly well. That niche is the lightweight, inexpensive, long battery life netbook. Shop around and you can find cavalcade of similarly specced netbooks marching by, all tipping the scales at under 3lbs. and 8-10 hours of battery life, and priced to move starting at under $300. We'd recommend spending a bit more to get something with improved features and a larger battery life, though, which is why we return again to the ASUS Eee PC line. In fact, we ended up at the exact same 1015PN, this time without NG-ION. That means you keep the matte LCD but boost battery life up to 10 hours and save $100 in the process. As an alternative to the ASUS 1015PN, you might also look at the Samsung N150-JP05 (JPxx). ASUS tends to get better battery life out of their netbooks in our testing, but the N150 also sports a matte LCD and has a different look that some will prefer over the ASUS clamshell design, and pricing starts at $300 instead of $325.